On Monday we will begin to introduce the brand new series of Musky Factory Baits available immediately for order online or on Facebook. We will be appearing in public for the first time at the upcoming Richmond Rod and Gun show on April 7/8. 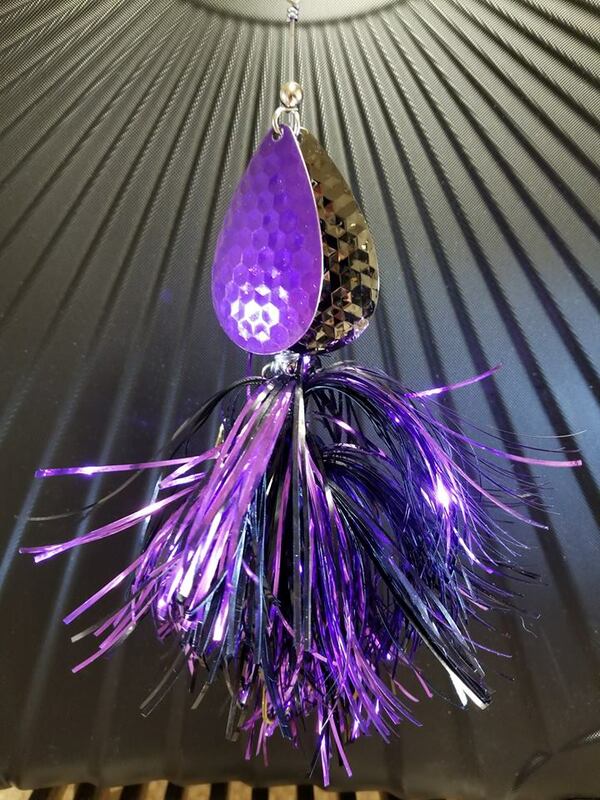 .51 wire for maximum vibration and after you’ve caught a bunch of muskies and your lure is bent out of shape we will re-build it for you for only $10! Today I am pleased to show you our first offering. This is my personal long-time favourite colour combination and one that has put many a trophy fish in my boat. This is the Johnny A. I hope you like it. Wait ’til you see what’s coming next! Blades like you have never seen! !